Let me preface this by saying that this is my first ever blog post of any kind. I decided to make this blog to document “interesting” experiences or situations that may arise during my day-to-day work as a DBA. This blog is as much for me as it is for anyone who decides to read it. I decided to make my very first post about free tools that I use to help solve various problems, whether it be performance tuning or routine maintenance tasks. These tools are completely free – so you have no excuse to not be using them. I will try to maintain this list on this page, but without the details. DBA’s need to pinpoint exactly what is running slow on a database and sometimes do it very quickly. Developers love the “Hey why is my app running slow?” or “OMGWTH – Why haven’t you fixed that POS database yet?” questions. sp_WhoIsActive lets you see exactly what queries are running, how long they have been running, and what they are waiting on currently. 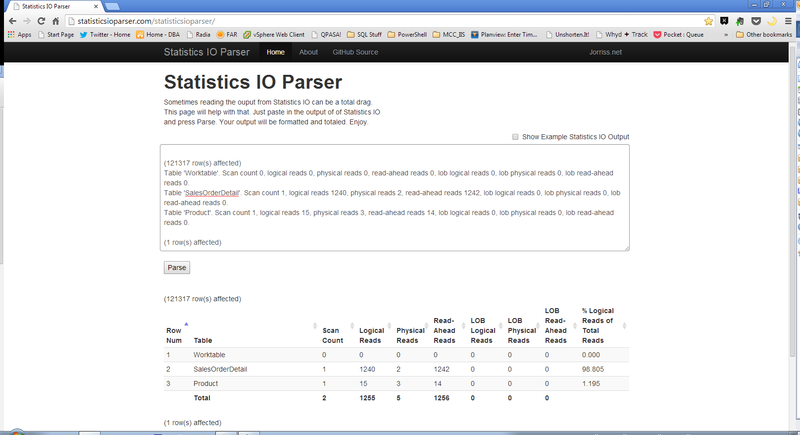 WhoIsActive also has a lot of extra parameters you can pass to it to find even more info. Some of my favorites are @Get_plans, @find_block_leaders, and @get_avg_time. I could write an entire post just about using WhoIsActive, so I’ll point you to some much better blogs. Brent Ozar did a very good post on WhoIsActive and Adam Mechanic (the creator of WhoIsActive) did a whole blog series on using the procedure. Pro Tip: Install WhoIsActive on all servers and create a Keyboard Query Shortcut in SSMS (I use Ctrl+F1) to execute sp_WhoIsActive in any open query window. 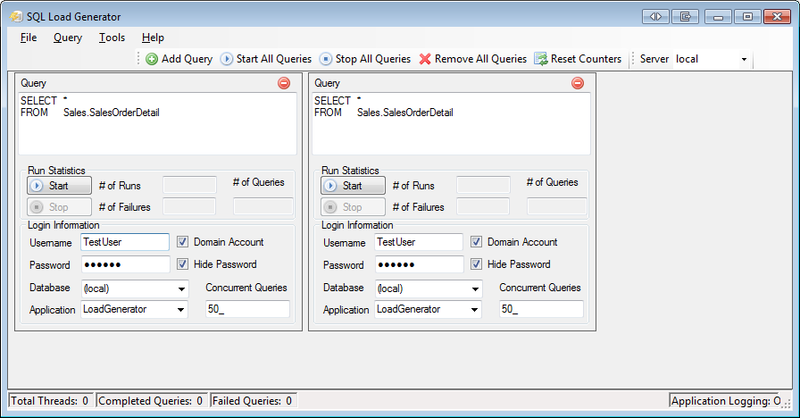 SQLQueryStress is a very handy tool, and coincidentally, it was also created by Adam Mechanic. Let’s say you are trying to tune a particular query, whether it be by re-writing the query or by adding indexes. 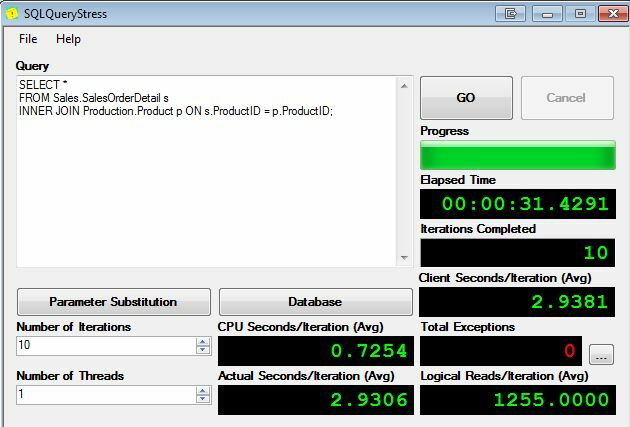 SQLQueryStress provides a very quick look at how the query is performing by showing seconds per iteration, total logical reads per iteration, and CPU seconds per iteration. This removes the step of having to add up the STATISTICS IO output to figure out the total number of reads the query is doing. It can also do some very cool things with parameter substitution. It is very important when tuning a query to make sure the query is faster with many different parameters, not just a single set of parameters, and SQLQueryStress will help automate that process for you. Every need to generate a query load on your SQL Server? SQL Load Generator provides a quick and easy way of doing this. It’ll let you run many queries simultaneously with different logins and different application names. Enough said. After using Plan Explorer, it is the only way that I will analyze execution plans anymore. SSMS is clunky and can make it challenging to analyze more complex execution plans. Plan explorer helps to immediately identify the most expensive operators or subtrees. Bottom line: Plan Explorer makes query analysis much more efficient and it looks so much better than viewing a plan in SSMS. Aaron Bertrand did a great post on using Plan Explorer here. 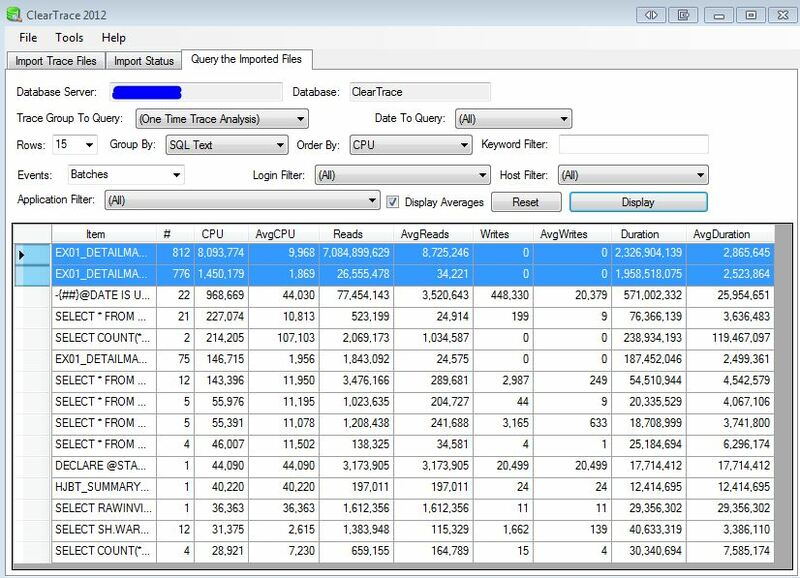 Ever need to quickly analyze a trace file? ClearTrace will import a SQL Server trace file into a database of your choosing, summarize the data, and graphically display performance information in an easy-to-digest format. ClearTrace can sort by whichever column you want, making it really easy to find either the most I/O or CPU intensive queries. 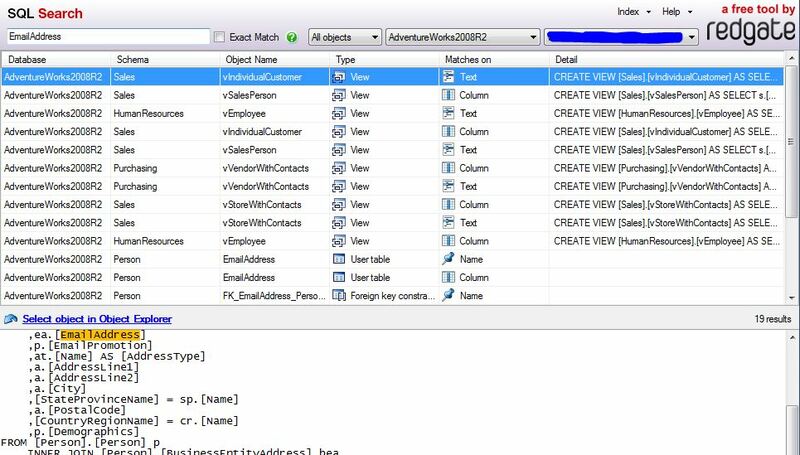 SQL Search is a SSMS add-in that does exactly what it sounds like: it will search through objects (tables, views, stored procedures, functions, etc.) in a database for a snippet of text. This is helpful when trying to find everything that may reference a table or any other given object. NimbleText is great if you write a lot of SQL statements. If you do any type of repetitive typing or text editing, NimbleText can probably help. StatisticsIOParser (developed by Richie Rump) is a great way to deal with the obnoxious output of SET STATISTICS IO. It formats and sums up the totals of the output. Very simple and very helpful. 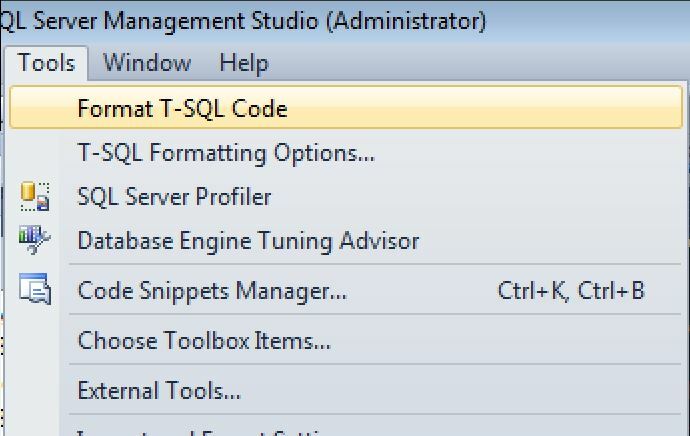 Pro Tip: Download the SSMS plugin to format SQL in your own query windows. Did I forget a free tool or website? Is there a great free tool I’m not using, and definitely should be? Let me know in the comments.